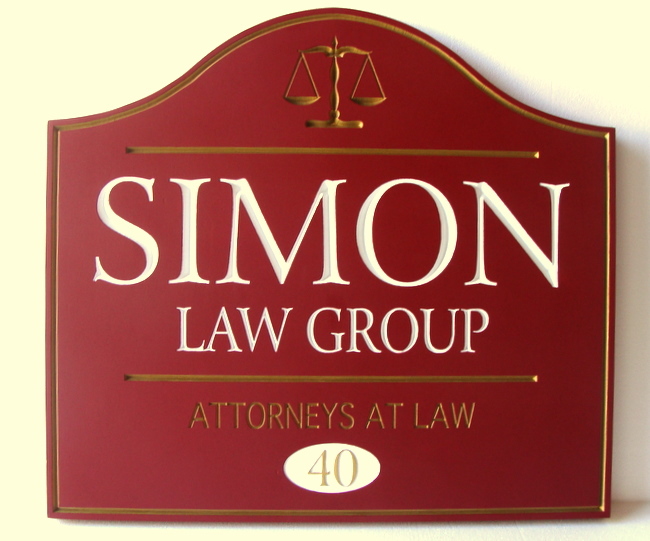 This striking and elegant carved (engraved text ) burgundy , white & gold sign makes use of metallic gold paint for text ; gold-leaf gilding can also be used at a premium. It has a high gloss clearcoat finish. We offer a wide choice of font styles.